This Barnett Scorpion Series clear derby cover is designed to fit OEM primary covers on 1999-06 Harley Davidson Big Twins and features a quarter inch thick, clear polycarbonate window to your clutch! 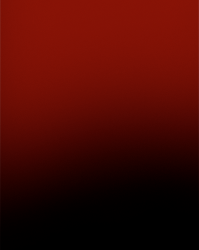 The scratch and discoloration resistant window is firmly secured and sealed with an o-ring gasket. 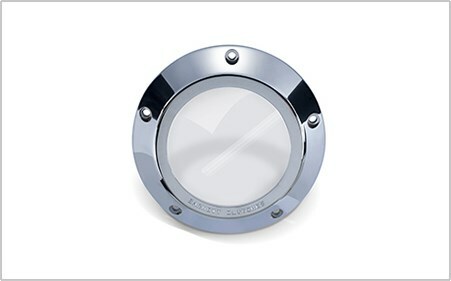 The outer cover area is CNC machined from billet aluminum and then given a brilliant Chrome finish. The derby cover gasket is also included. 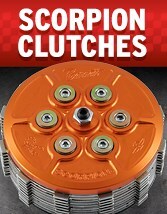 For the ultimate in looks AND performance, install a Barnett lock-up clutch with your new cover! To order, please contact your dealer or give us a call!